The rising water is “not so gentle on my mind” so this week’s musical entrée is apropos. My rendition is adapted from the recordings of Tommy Jarrell, Fred Cockerham, and Oscar Jenkins from tracks recorded in the 1960s and early 1970s when these fellows were pretty darn old. The cut “Stay All Night” refers to a flood that may cause house guests to stay a little longer. 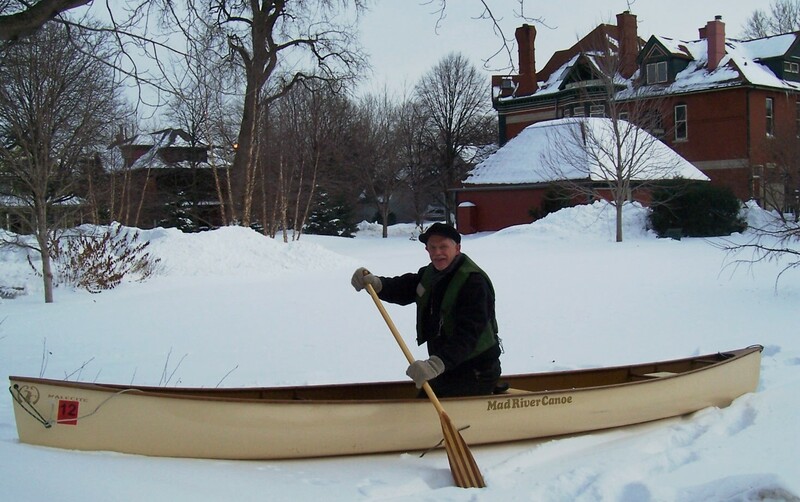 Talk with any former high school student from Stillwater, Minnesota, circa 1965 and they’ll tell you about their adventures in the “Dike Brigade”, student volunteers who worked to save the downtown from the record flood that nearly drowned the city. The St. Croix River crested at 94.10 ft. at Stillwater that Spring, the highest recorded river level, ever. Last week the Washington County Board got the bad news again. The latest National Weather Service (NWS) flood forecast released Thursday, March 3rd, predicts an 82 percent chance the St. Croix River will reach 90 feet, 3 feet above the 87-foot flood stage. If that occurs, floodwaters would cover parts of Minnesota Highway 95 between Bayport and Afton. I was in Stillwater on April 27th, 2001 when the St. Croix River crested in Stillwater at a near record 92.30 feet and it was a dramatic scene. The newly constructed flood wall along the west shore helped channel the rising waters but there was plenty to “go around”. At 6:00 this morning the St. Croix level was 75.96 feet. Here’s are some local St. Croix River flood impacts as the water rises, according to NOAA. 95.0 Estimated top of the flood protection dike in Afton. 94.0 Estimated top of the flood protection dike at St Croix Beach. 92.5 Approximate 100 year flood stage. 90.0 Highway 95 between Afton and Bayport begins to experience flooding. 89.0 The city park in Bayport begins flooding. 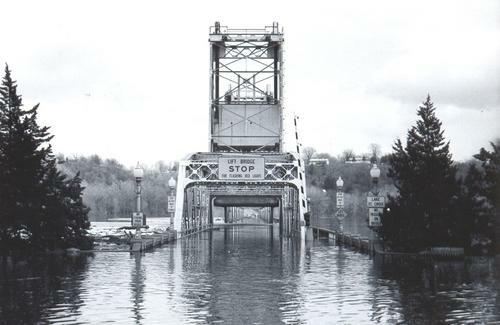 88.0 The Stillwater lift bridge may become inoperative. 85.0 Several residences along the river may experience flooding in their basements. 83.0 Minnesota and Wisconsin may impose a no-wake zone on the river. 78.0 The Stillwater Riverwalk becomes inundated. This entry was posted in Music and Video, St. Croix River and tagged Flodd of 1965, Flood, music, NOAA, St. Croix River, Tommy Jarrell. Bookmark the permalink.